Want to get calls for suitable opportunities? 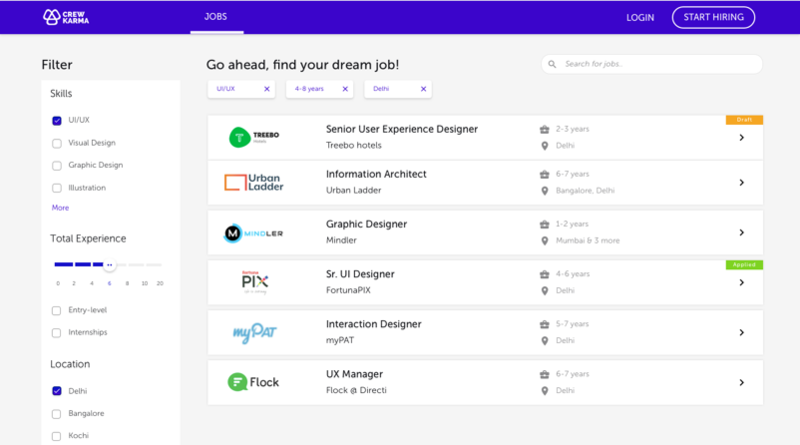 OR Want to Fast-Track your job Search? OR Just Feeling lazy? 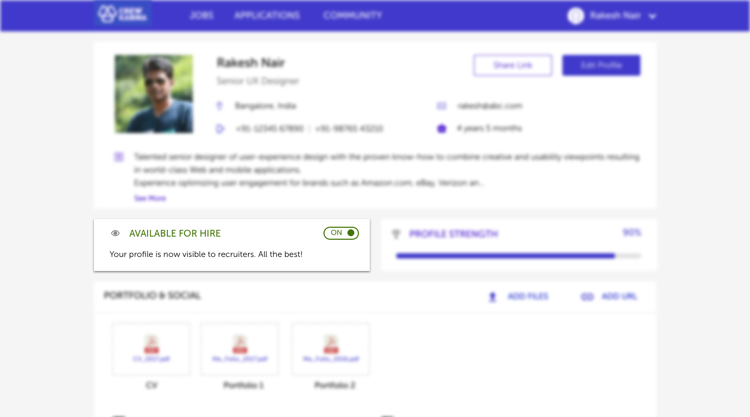 Simply build your profile using “Available for Hire” feature, give relevant information about yourself and we will match your profile with the most suitable opportunities. Never again get into the hassle of reaching out for jobs, but instead let the jobs reach out to you. Want only the best people for your team? You are at the right spot. Design is a TOUGH domain to hire for and needs a keen eye to understand portfolios. BUT… that’s why we are here! 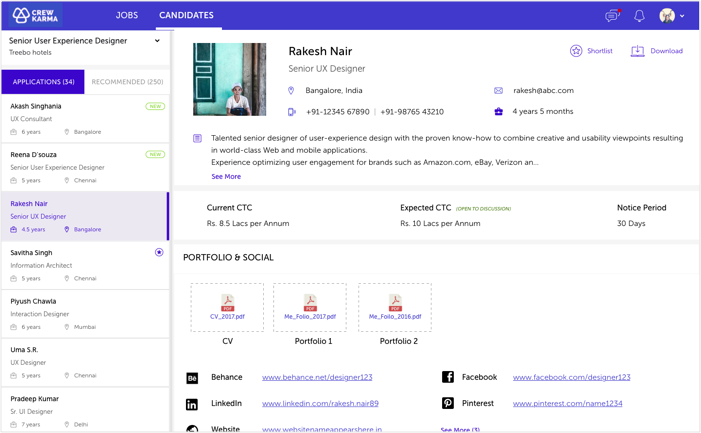 Browse through India’s biggest community of verified Designers and Creative professionals and hire the one most suitable for your requirement. START HIRING NOW. Want to Hire? – Get in touch via Email or simply use the below Form – We will get in touch.